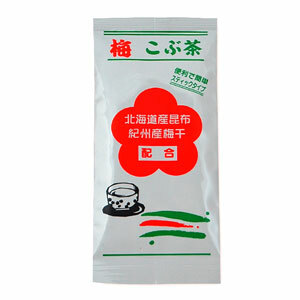 Enjoy the taste of kelp, KOMBU - CHA is preferred by Japanese people. Put the powder of the pack in a cup, pour hot water and enjoy it warm. Add plum pickles, finish it mellow.